We get the joke. Today starts the fourth month of 2018, and despite the general trend of average warmth climbing around the globe, we woke to teeth-chattering cold. The clear sky overnight was wonderful for viewing the blue moon, but it also contributed to the drop in temperature. We had a reading of 10°(F) before the sun came up. With the fresh coating of snow on the ground from Friday night’s storm, there is cold in the air, as well as radiating from the ground. It seems like the forest animals weren’t much interested in facing the cold, either. In a search for tracks around the full perimeter of our property, there were surprisingly few foot prints revealing activity. Based on the evidence we collected, a rabbit was the only critter moving around. At least we know that it didn’t have any problems with dodging predators. The cougar that growled near Cyndie and Delilah last week is likely long gone after its journey past our home. 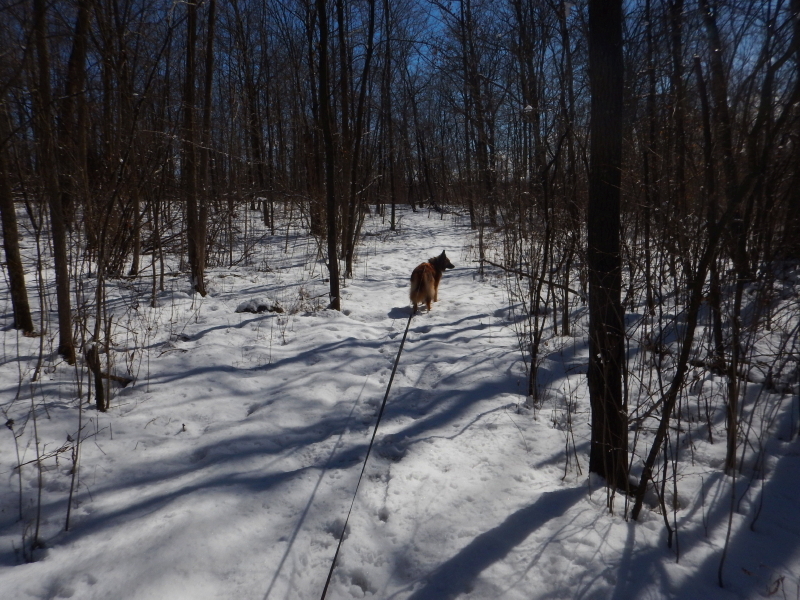 We did a search in the neighboring woods where the eery sounds came from last week, but did not find any hint of a foot print or disturbed snow where the drama played out. In a long shot reaction, I mounted our trail camera to observe the trail closest to the area, but it only provided added evidence that nothing was moving around after the snow, except Delilah and me. Yesterday, Cyndie unleashed a great weapon against cold and snow. 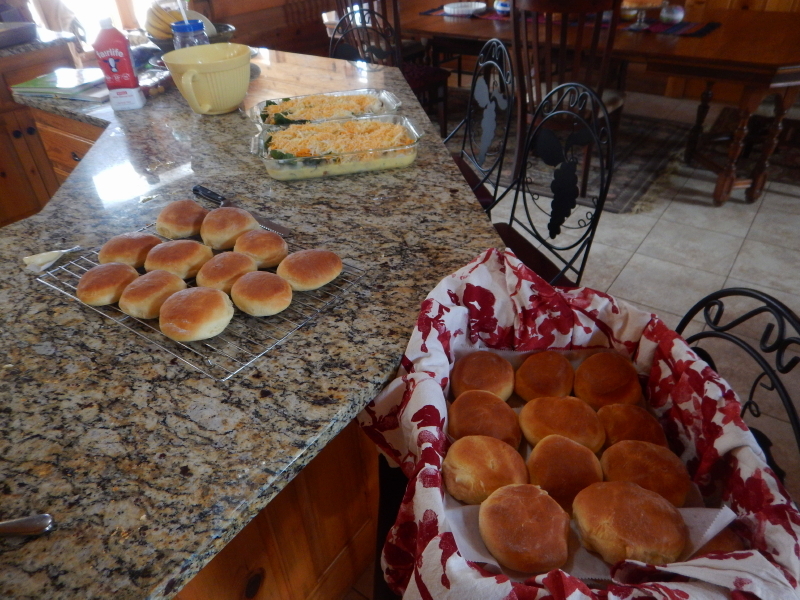 She filled the house with the smells of fresh-baked buns and whipped together a couple of egg bakes for a family brunch today. Sending sweet blessings for a beautiful day, John. Hope it warms up and the cougar is long gone. Sweet Blessings to you and Cyndie! Thank you, Lorrie! I do believe we did receive the results of your hope. It warmed up nicely, (although nothing to be overly jubilant about) and there is no evidence to imply the cougar might be hanging around. I’m going with the opinion it is long gone.